Great news! 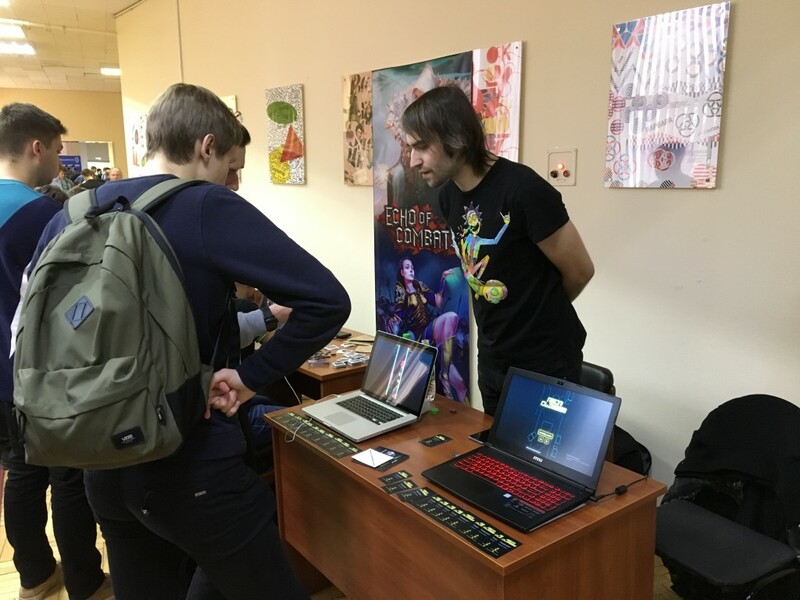 A few days ago we participated in our first showcase! 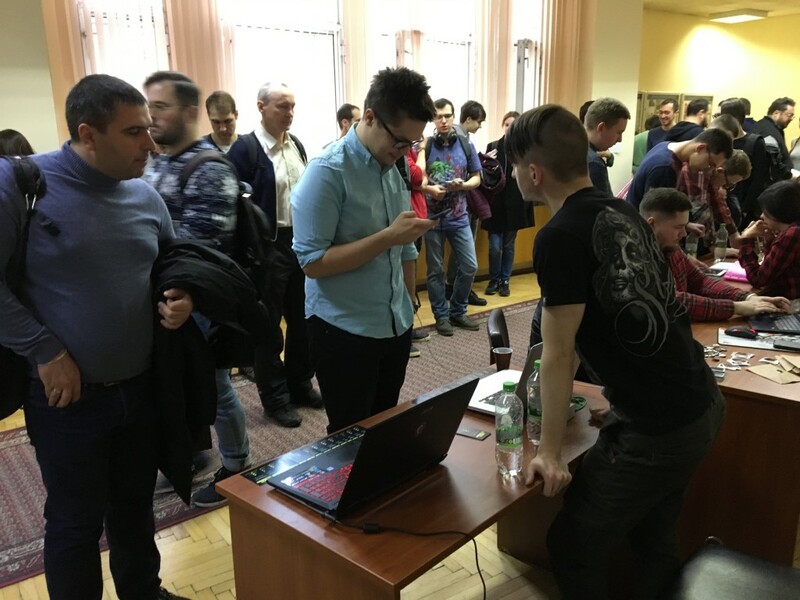 Nothing big, just a local event named #GamedevHouse, but still! It was almost a disaster at the beginning. Me and Roller arrived at place and realized, that our table just near the center crossroad. Our neighbors already installed some fancy screens, set merchandise, hung branded wallpapers, you named it. 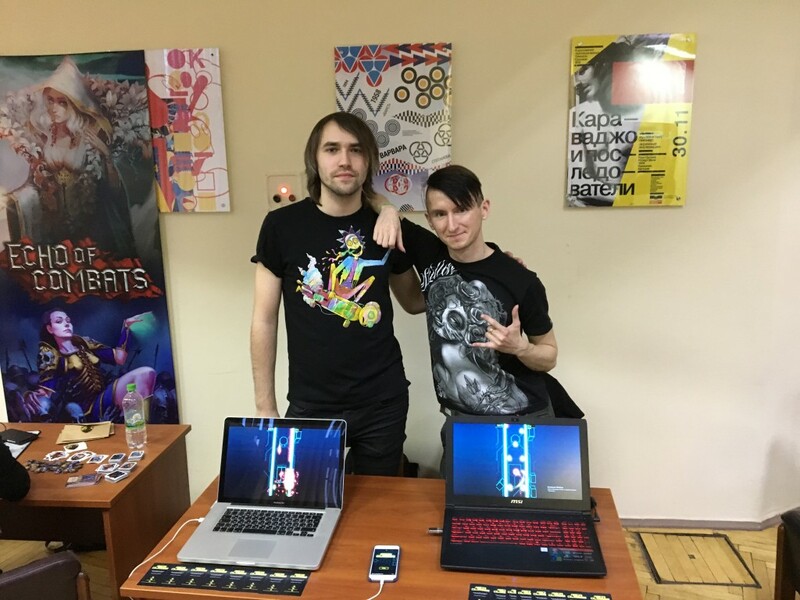 And we got..well, two notebooks (one of them was my 10-years-old MBP with battery that died right on a night before the event) with looped alpha trailer, one iphone with 2 months old build of #NeonClimber (don’t ask why), some business cards, and our silly faces. Oh, almost forgot – we were absolutely sure that no one will bother about our game, so Rol took a switch with smash bros with him. All of a sudden, one by one, people stopped before our table, looking at trailer, asking to play. I cant really describe how joyful these moments were – when complete strangers play in your game and they liked it. Some even returned to play more. No comments. Of course, there were bugs, known and new ones, comments, critics, suggestions, everything. But overall, people liked mechanics and visuals. Now, we are gathering it all together. The Release is nigh, I feel it. P.S. Many thanks to hosts of the #GamedevHouse and to everyone who tried our little game! It really matters, especially for indie devs like ourselves.